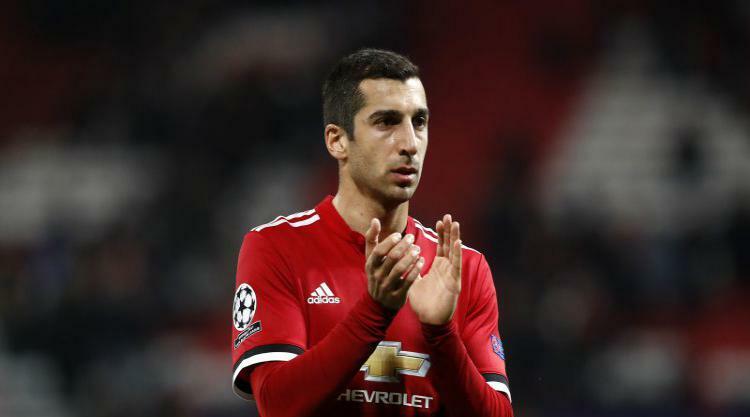 Jose Mourinho is set to recall Henrikh Mkhitaryan for Manchester United’s Carabao Cup quarter-final at Championship side Bristol City on Wednesday. The Armenia forward has fallen out of favour in recent weeks and not even made the bench for eight of United’s last nine games. Mourinho said: “We need to take the game really seriously but I’m going to make a few changes and it’s possible Miki is involved. Mourinho, who has key midfielder Paul Pogba available again after suspension, does not want to make wholesale changes for the trip to Ashton Gate. The competition, which United won last season, now looks a more realistic route to silverware than the Premier League. United are still second in the table but already trail leaders Manchester City, who are unbeaten and showing no signs of weakness, by 11 points. Mourinho also views the Robins, who are third in the Championship, as potentially tricky opposition and does not want to take chances. The Portuguese said: “I’m making a few changes for the match, not many, because Bristol City are one of the best teams in the Championship.